For plenty of Yahoo users, forgetting passwords for their own Yahoo accounts has been increasingly common. Being not able to access to Yahoo account, is really a nightmare. So, is there any chance to hack Yahoo password? It is possible to hack Yahoo password. Yes! As a matter of fact it’s possible to hack your forgotten Yahoo, Gmail or MSN and other types of Email password. That’s why some password recovery tools come in handy. However, I have to note here that not every time you can use these methods or tools to hack your forgotten password successfully. It is only when the web browsers on your PC like IE, Firefox, Opera, etc. have stored your Yahoo login information, then yahoo password hack comes possible. Method1: Hack Yahoo password through alternate Email. 1. Go to the Yahoo Sign-in Problems page. 3. Then A Reset Your Password Link will be sent to your alternate email address. 4. Click the link and enter your new password in the Reset your password page. Note: If you forgot any one of login information like alternate email address, answers to your secret questions etc. then you cannot hack your forgotten Yahoo password in this way. But never mind, you still have the last resort, then move to Method2. Firefox is a widely used browser, which can save the passwords of websites or Email accounts you’ve ever visited. We Yahoo users also won’t miss such a convenience. However, once we clear the cookie or history of Firefox or we just need to login to Yahoo on another computer, we may encounter Yahoo password forgotten problem. In these cases, Firefox Password Recovery can help you instantly fix the problem. Below are the specific steps on how to hack Yahoo Email password with this tool. 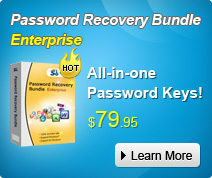 Step1: Download, install and run SmartKey Firefox Password Recovery to your PC. Step2: Click “Start Recovery”, then in the drop-down list you just choose “Recover Firefox Password”. Step3: Within seconds, all of the login information including your Yahoo accounts and passwords stored in Firefox will be displayed automatically. After the recovery process is done, you’d better write down your Yahoo accounts with their passwords together, so that next time you won’t forget them again. How to reset/hack yahoo password by Internet Explorer password Recovery? Nice post. I learn sometbing new and challenging on blogs I stumbleupon every day.